The Mid-Year point is an important milestone for real estate trends, especially in northwest Vermont. We are in the midst of the traditional “height of the market.” Closings on real estate sales surge in June, July, and August in between the school year, vacations, holidays – with new household formation and other life events that typically drive the market. Our Mid-Year report recaps the inventory and sales of property during the 1st six months – and provides a snapshot of trends we may see in the Fall of 2018. The number of properties sold, across all categories including single family, condos, multi-family, land and luxury properties, in northwest Vermont increased over the 1st half of 2017. This positive trend reflects strong buyer demand and is a welcomed sign after a moderate, but long-term decline in unit sales. The median and average sale prices continued to rise for single family, multi-family and land sales. Single-family unit sales were up 2.1% over 2017 in the first half. Newly listed properties declined by 6.7%. While inventory levels are still at near record lows, the 2nd quarter showed some moderate improvement. Condominiums remain a popular choice, often for ease of maintenance and affordability. Newly listed condominiums were up 21.3% year to date with 507 listings. This helped spur a 12.4% increase in sales in the first half of 2018. The median and average sale prices had slight declines at 3.0 and 2.0% respectively. Days on market dropped to 99 days in the single-family market, down 4.8% from last year and condominiums declined by 21.3% to 72 days on market. Chittenden County is reflecting a 3 months supply on hand in single family and condominiums. A balanced market is considered 5-6 months supply. Our Vermont market reflects the current national trend of low inventory levels. Lawrence Yun, Chief economist for the National Association of Realtors, says a solid economy and job market should be generating a much stronger sales pace than what has been seen so far this year across the country. Rising mortgage rates are also a factor. “This year we saw a move up in mortgage rates, from 4 to 4.5%, which increased the urgency of some buyers to purchase. Combined with limited inventory, a tight rental market, and an uptick in economic activity, we saw increased competition in the first time home buyer/affordable price range. Even with credit standards loosening to encourage more activity these other factors are stretching the budgets of some prospective buyers. Mortgage industry experts say that providing credit is not the problem but rather the current supply of housing not meeting the demand,” says Ranjit “Buddy “ Singh of Spruce Mortgage in Burlington. Our sales associates have seen continued strong buyer demand, especially in price segments below $350,000. Often these buyers are facing competing offers made on new listings resulting in purchases above asking price, waived inspections, substantial deposits or even cash sales. Some sellers are identifying new properties prior to committing their property to sale and making the successful next purchase a contingency of the sale of their existing property. Timing and coordination are key, and your Realtor can be of great assistance in a tight market. New housing development in our region, although limited, is a very welcome addition to our market and has given some relief in a few market segments. We expect the current market conditions to continue throughout the 2nd half of 2018. Chittenden County as a whole posted moderate increases in the median and average sales price of single-family homes with the continued decline in newly listed homes affecting the closed sales. A number of cities and towns had well above-average increases in pricing including Burlington, Charlotte, Richmond, and Westford. The city of Winooski is a bright spot, as homeowners are attracted to its lively downtown, affordability, and proximity to Interstate 89 or Burlington. In Shelburne, the single home market is recovering; posting healthy increases in listings and sold homes after a weak first half in 2017. The condominium market in Chittenden County remains healthy with a 13% increase in sales and a 23% increase in new listings. This available inventory has kept pricing stable – except where new construction projects are driving the inventory such as in South Burlington and Williston – which posted a 21% and 7% increase in median sales price over the same period in 2017. The growth in the median and average sold price continues in Addison County. The number of homes sold during the 2nd quarter increased over the same period in 2017 – although year to date the sales are flat. The 23% decline on new listings has surely contributed to the lack of growth in home sales – as well as the price increases. Buyers are attracted to the quaint, Vermont feel and vibrant downtowns with restaurants, galleries and events in communities like Vergennes and Bristol. 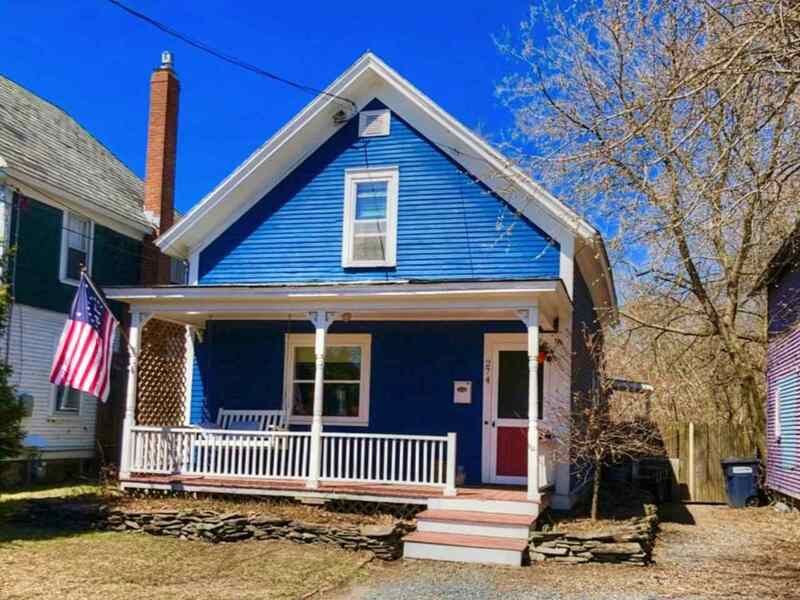 Middlebury, the largest town in Addison County – also posted the most closed sales as well as an 11% increase in median price – to $292,000. Retirees and second homeowners alike are drawn to opportunities available in this college town. Elsewhere in the county, smaller rural communities posted healthy price increases – although these results are affected by the small number of transactions. After a slow start to 2018, home sales in Franklin County rebounded during the 2nd quarter of 2018 – increasing nearly 17% over the first half of 2017. With inventory for sale still at historic lows, the number of newly listed properties improved – providing new options for buyers searching for affordable living. Franklin County has the lowest median sale price among the four counties in northwest Vermont. Town by town the data varies. Fairfax, situated between Burlington and St. Albans, has the highest median sale price at $282,000 while St. Albans and Swanton had the most closed sales. Single Family homes sold in Grand Isle County show a slight decline (-4%) over the 1st six months of 2017 – however, this decline only translates to 2 home sales. In our 2017 mid-year report, the number of closed sales had increased 24%; we can look at the change this year as an adjustment versus a decline in buyer interest. In all of the towns, except North Hero, there were healthy gains in the closed, median sale price. South Hero claims the highest median sale price in the county at $581,250. Two luxury, lakefront property sales in the town contributed to this jump – the highest median price in many years. Alburg and Grand Isle posted double-digit increases in closed sales over 2017 – despite a continued decline in properties available for purchase. The warm summer should bode well for buyer interest across the county – as vacationers and potential second homeowners experience all that the small county of Grand Isle has to offer. Buyer interest continues to improve in the Luxury* market across northwest Vermont. 17 properties closed during the first half of 2018 with 65% (or 11 homes) closing during the 2nd quarter. New listings are generating multiple showings and, in some cases, multiple offers. Lakefront properties have sold in all four counties – including Franklin County which has recorded 2 luxury sales in more than 3 years. Filling out the buyer demand are properties away from the lake with newer construction and amenities, privacy and views along with proximity to the greater Burlington area employers. The “days on market” – or the number of days from listing to closing – fluctuates wildly with a small data sampling. A number of the properties that sold during the 1st six months of the year were on the market for well below the 225 days in this report. With 106 properties available for purchase, buyers have many options when seeking a home in the range of $850,000 and higher. Investors continue to show strong demand for multi – family properties especially in Chittenden County which accounts for 65% of the total units closed in northwest Vermont during the 1st six months of the year. The number of properties listed during the time frame dropped more than 16% and, since 2015, the properties available has declined 38%. Limited inventory coupled with the demand pushed the median price of multi-family homes up 11% across the region and 13% in Chittenden County. A few high-priced sales in Burlington drove the average sale price up to more than $575,000. Despite the building of newer apartment complexes and a slight easing of the historically low vacancy rate – demand is still high from renters. Amenities included in the newer complexes are appealing to tenants – however, these units may come with higher rents. Therefore, investors seek out opportunities by purchasing more traditional, multi-family buildings or single-family properties in neighborhoods to meet the pent-up demand. Sales of land across northwest Vermont showed robust increases over the same period last year. Addison County posted a 60% increase in land sales with a total of 32 parcels sold – equal to neighboring Chittenden County. With sellers looking to “right size” their home and take advantage of a “seller’s market” – many are turning to land purchases to build a custom home. Permitting, development and building costs can contribute to higher than average prices for the home when complete – however, the buyers benefit from new, energy efficient and lower maintenance options. Developers looking for land in key locations have also contributed to some on the increases. The National Association of REALTORS is raising awareness of increased reports of wire fraud schemes that involve hackers stealing email addresses and sending fraudulent bank wiring instructions to various parties involved in a real estate transaction. The cyber-criminal scheme takes on many variations, often tricking the unsuspecting user into inputting their information or clicking a link that allows the criminal to steal login, password, or other personal information. The criminal then uses the stolen information to send fraudulent wire instructions disguised to come from a professional you’re working with, including real estate agents, attorneys, lenders or consumers. Never wire funds without personally speaking with the intended recipient of the wire to confirm the routing number and account number. Verify that the contact information for the wire transfer recipient is legitimate. Call to verify the request using a phone number that has been independently obtained, not the phone number contained in the email containing the wiring instructions. Never send personal information such as social security numbers, bank account numbers and credit card numbers, unless it is through secured/encrypted email or personal delivery to the intended recipient. Take steps to secure the system you are using with your email account such as using strong passwords and secure WiFi. Lovely home offering tons of charm & character conveniently located near UVM/Medical Center with off-street parking & fenced yard.